Back to basics with our fellow member Pablo who chose to tell us about the different types of low voltage circuit breakers… Enjoy! What are the differences between them? Are they interchangeable? Why choose a particular manufacturer? What are the types? 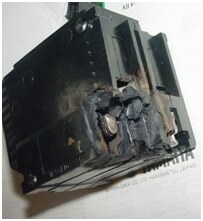 I will start with low voltage circuit breakers. One of the problems that I have frequently encounter is the fact that sometimes in the acquisition of circuit breakers main reasons are economics and non-technical, both the homeowner replacing a defective breaker and large contractors. On the technical side I mean the interchangeability of interrupter. If we buy a panel from manufacturer X Can we install a breaker from manufacturer Y? The answer is yes and no, the best practice is to change or install a breaker from manufacturer X in a panel from manufacturer X, but that is not enough, because manufacturers have different models of boards and breakers, sometimes incompatibles, for example, QO panel from Square D has a different breaker than Homeline panel does. Their construction is different as seen in the picture. However there are switches that are UL listed to be installed in other panels. In this cases panels have a list of breaker they can be used with, there are cross tables, because it may fit but that doesn´t mean that it should be used in the panel; so they must be UL listed for interchangeability. Due to the large number of manufacturers and their models discuss of interchangeability between them would be a very large topic, each case is specific, so you should check before buying a breaker, it must be within the compatibility tables. But we cannot put aside an important factor such as the difference between time-current characteristics of the different breakers. Although it is true that for residential and low current applications this does not imply an influential factor it may be different for commercial and industrial applications. I have had the opportunity to see breakers that barely fit into the bar of the panel, in these cases the chances of having a hot spot increase dramatically. Especially in the case of resellers and contractors. They can refuse to cover the guarantee in case of encountering replacements from other manufacturers. Other problems may be less likely, a worse performance and increased electrical hazards. What does the NEC establish? The NEC says that we must install the equipment according to the instructions specified on the label that are typically inside the load center. Below I will show a summary of all types of low voltage breakers that are used in residential, commercial and industrial facilities for use in lighting and outlets circuits. I think some people do not know some of them. There is no standardized division of the breakers. However in this case I will classify according to 3 characteristics: type of technology used, construction and application. I do not focus on explaining theirs performances. My advance apologies if some type of breaker is missing. As in other products such as a television or a car quality varies by manufacturer. Although it is a matter of personal opinion I have found that most recommended manufacturers are Schneider Electric and its product line Square-D, followed by GE, Siemens and Cutler Hammer by Eaton. Find technical differences between their products would be a very difficult task because they meet UL standards and other organizations regulations. The classifications that interest me most are the applications and particularly the GFCI and AFB as they are the least known breakers. GFCIs is a fast circuit breaker that perceives imbalances in the circuit caused by leakage currents to ground, and in a split second, opens the circuit. The main purpose is not the protection of the circuit but the protection of people. AFCIs is a type of breaker that open the circuit when it detects a hazardous arc-fault in over to reduce electrical fires risks. Several articles are needed to explain the difference and functioning of each of these interrupters. However, on this occasion my top priority is to invite you to learn more about these breakers, as they currently must be installed on electrical installations according to the conditions and guidelines of the electrical codes of each country; especially in countries in developing that for economic reasons deny the use of these protective devices. Moreover, given the recent use of these devices it is extremely important to promote their understanding, both new and experienced electrical technicians should know the principles of operation with the purpose of ensuring the protection of our facilities. Great classification isn’t it? Thank Pablo by leaving a comment below! 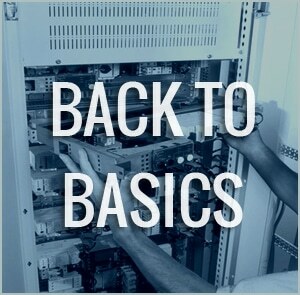 or copy this trackback: http://engineering.electrical-equipment.org/electrical-distribution/low-voltage-circuit-breakers-differences.html/trackback from your own site. Should I replace my electrical system?